In the words of Queen's 1991 single, the show must go on. Twentieth Century Fox has announced (via The Hollywood Reporter) that Eddie the Eagle helmer Dexter Fletcher will replace Bryan Singer as the director of Bohemian Rhapsody, the upcoming Queen biopic starring Rami Malek as Freddie Mercury. 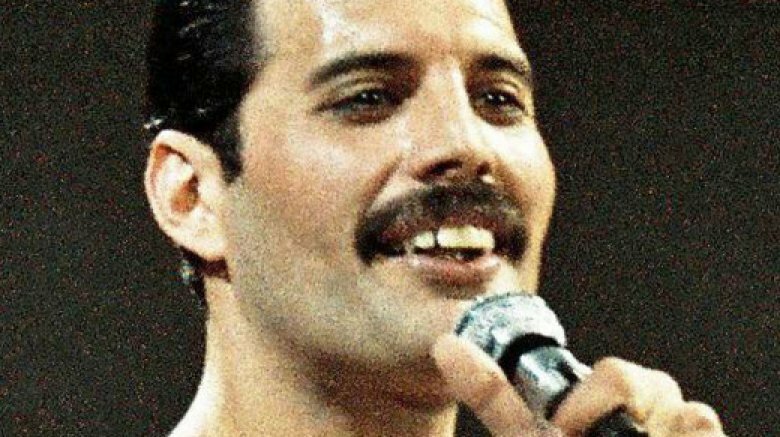 Production on Bohemian Rhapsody was shuttered last week after Singer did not show up to the film's set in London after the Thanksgiving holiday. Studio Fox pinned the decision down to Singer's "unexpected unavailability," while a representative for the director explained that it was due to "a personal health matter concerning Bryan and his family." Singer was fired from the film on Monday, with reports noting that his termination came about due to his "unreliability" and "unprofessionalism." The filmmaker reportedly failed to arrive on set on multiple different occasions. His "non-showings" resulted in X-Men: Apocalypse cinematographer Thomas Newton Sigel stepping in as a de facto director on a few days of shooting. Singer also clashed with Malek, which resulted in palpable tension behind the scenes. Sources even stated that Singer and Malek had a non-physical confrontation that ended in the director throwing something at or near the actor. Following his firing, Singer accused Fox of not allowing him to step away from the project to tend to a "gravely ill parent" and argued that this is why he was let go. "I asked Fox for some time off so I could return to the U.S. to deal with pressing health matters concerning one of my parents. This was a very taxing experience, which ultimately took a serious toll on my own health," he said in a statement at the time. "Unfortunately, the studio was unwilling to accommodate me and terminated my services. This was not my decision and it was beyond my control… I wanted nothing more than to be able to finish this project and help honor the legacy of Freddie Mercury and Queen, but Fox would not permit me to do so because I needed to temporarily put my health, and the health of my loved ones, first." With Fletcher now on board to finish the film, which has about two weeks of principal photography remaining, production is expected to start up again sometime next week. The filmmaker unleashed his first directorial effort, Wild Bill, in 2011.